Here at Silver Mirror, finding ways to do good in the community and the world is a core pillar of our company mission. There are incredible organizations amongst us that are helping those who are less fortunate to lead better lives. To honor these people and organizations, Silver Mirror is partnering with a different non-profit each season to dedicate a portion of proceeds from our seasonal facial to support the organization. This summer, we are thrilled to partner with Women’s World Banking (WWB). Women’s World Banking a global non-profit dedicated to giving low-income women access to the financial tools and resources they need to build security and prosperity. For more than 35 years, they have worked with financial institutions to show them the benefit of investing in women as customers, and as leaders. They are an impressive organization led by passionate people who are dedicated to helping improve the lives of women around the developing world. We asked the WWB team to take a few hours out of their busy lives helping others to relax with us for facials at our new digs at 862 Lexington Ave. We had the honor and the pleasure of hanging out with these women over champagne and facials and hear about their magnificent adventures around the world. Brave this steamy summer by getting the Summer of Women Facial and help support this remarkable organization. Help further the WWB mission at https://www.womensworldbanking.org. Summer means fun in the sun, but it can wreak havoc on your complexion. This facial is designed to rejuvenate, soothe, and rehydrate overexposed summer skin. The treatment includes a deep cleanse, a light exfoliation to gentle resurface the skin, and extractions to clear up congestion from product buildup and swear. This is followed by a hydrating treatment and customized mask to calm and sooth. 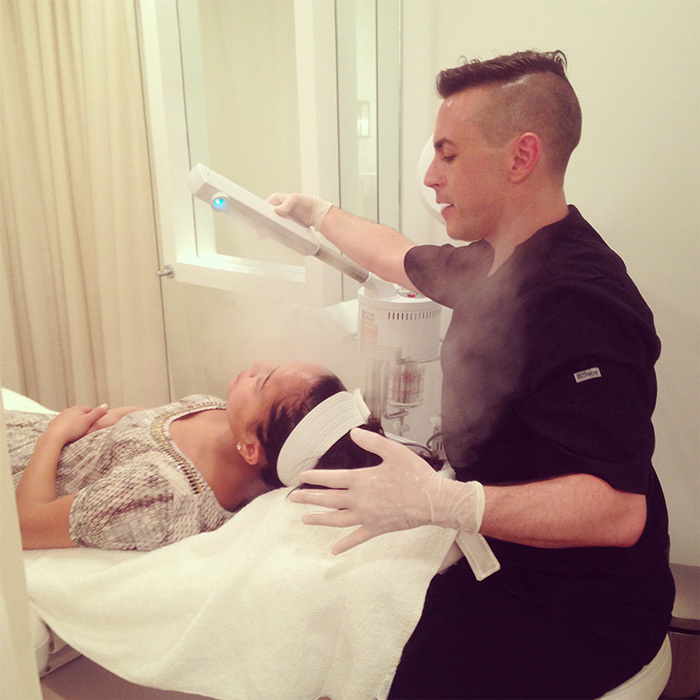 Finish off with vitamin-enriched oxygen therapy and yellow LED to target hyper-pigmentation. Perfect for achieving that healthy summer flow (the non-tan kind) that lasts.